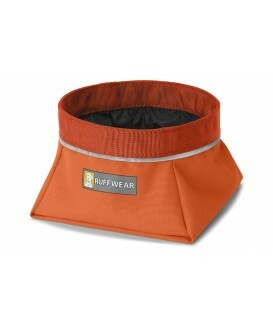 The Ruffwear Quencher is the original packable dog bowl. 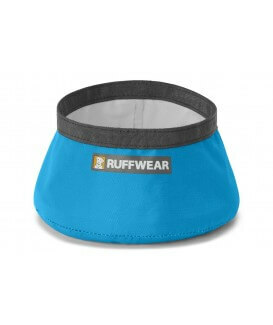 Designed to provide dogs with food and water on the go, this collapsible fabric bowl easily fits in a pocket or backpack. Available in three different sizes to match your adventure. 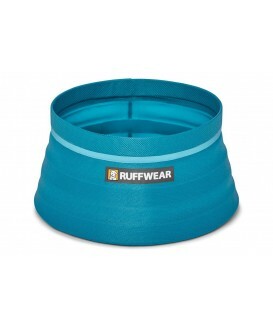 The Ruffwear Trail Runner Bowl is an ultralight bowl that packs into itself for ultimate portability. Inspired by trail runners and anyone looking to shed ounces or grams, this minimalist fabric bowl is perfect for water and fuel breaks on the trail. Single wall construction makes it easy to clean and stuff into itself. It fits inside the pocket of most running apparel.